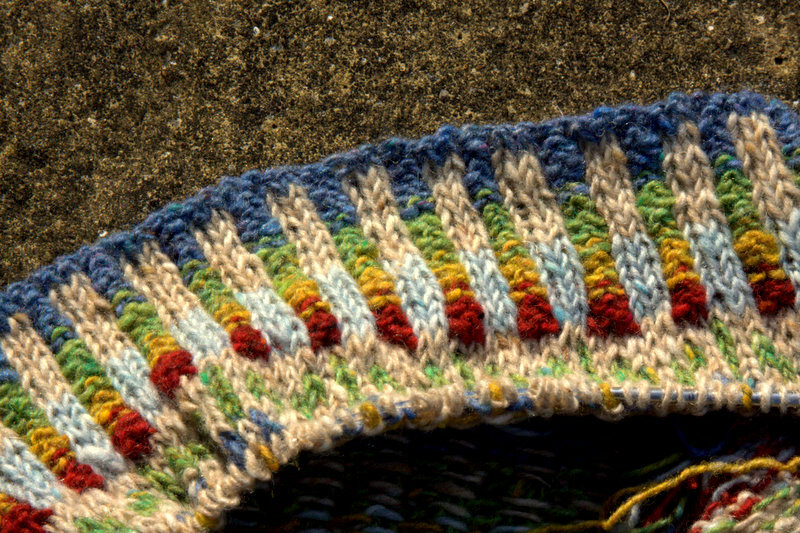 Here is a little preview of the gorgeous Peerie Flooers hat so you can see how beautifully these colours work together. I have wanted for a long time to teach myself how to do two-handed knitting. For those unfamiliar with this technique, here is a long aside. 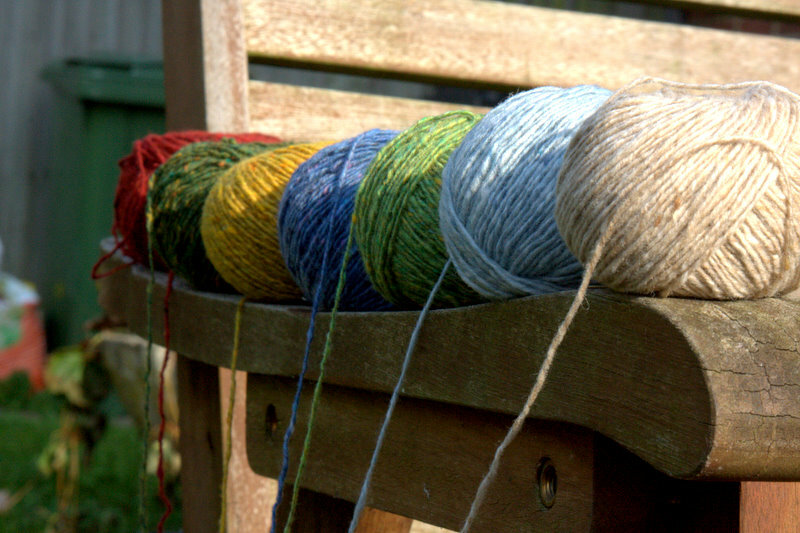 There are two major styles of knitting. In continental knitting, you wrap the yarn around the left hand and use the right needle to “pick” or draw the thread through the stitch; in English knitting, you hold the yarn in the right hand and “throw” the yarn to make the stitch. I use the latter method, which my grandmother taught me when I was a child. When working with two colours, as in Fair Isle knitting, you hold one colour in your left hand and one in the right, and you knit continental style when knitting with the yarn in the left hand, and English knitting when using the yarn in your right hand. I have tried this technique in the past and am hopeless at it. Despite being left-handed, I feel as if my left hand is completely useless, and I am so slow it feels as if I am just learning to knit. I never manage to stick with it long enough to work up any speed or proficiency. 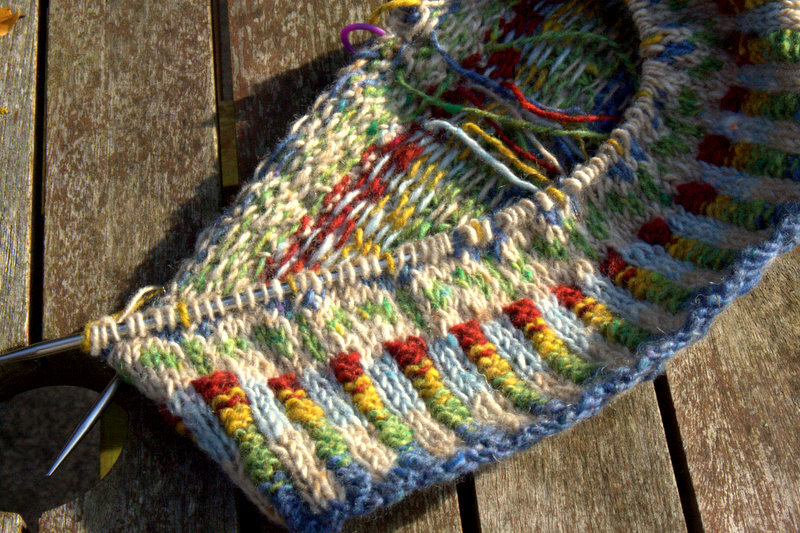 I have had my eye out for a small colourwork project that is so perfect that I can’t possibly cast it aside. As soon as I saw Peerie Flooers, I knew this was it. I have read that many knitters are choosing this as their first colourwork project, which is a testament to Kate Davies‘ genius. I love the Peerie flooers hat. Wonderful colours.